Seminar on "Improving Students’ Learning in Classroom: Some Insights from a Decade of Research"
Event Name Seminar on "Improving Students’ Learning in Classroom: Some Insights from a Decade of Research"
Seminar on "Gender and Education"
Event Name Seminar on "Gender and Education"
Organizer The First Historical Archives of China, Macao Foundation, Macau Documentation and Information Society, and the University of Macau Library. Content The First Historical Archives of China provides a variety of invaluable archives, of which some are exhibited to the public for the first time. 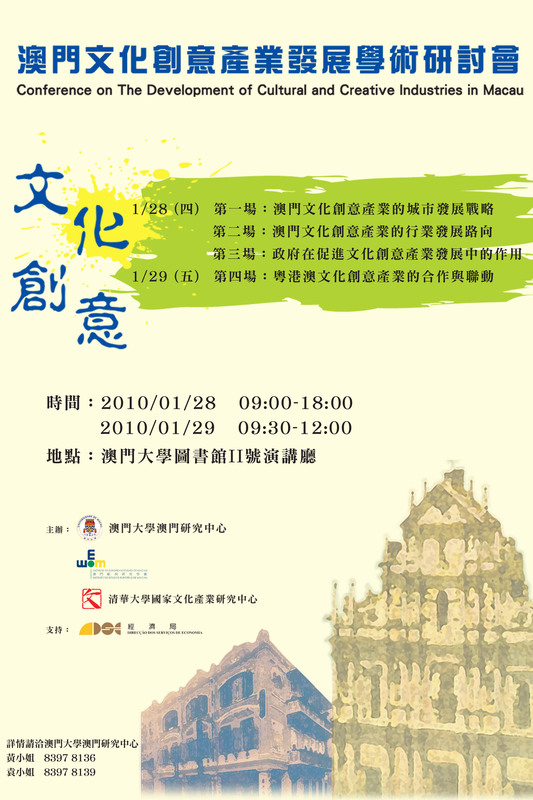 The exhibition will also display some Macau rare books which are provided by Macao St. Joseph Seminary, Macao Central Library, and UM Library. Distinguished Lecture of "The Drivers, Major Technical Components of Smart Grid and its Implementations"
Event Name Distinguished Lecture of "The Drivers, Major Technical Components of Smart Grid and its Implementations"
Distinguished Lecture of "Training Intelligent Systems with Entropy Concepts: From Wind Power Prediction to Missing Sensor Restoration and Other Applications"
Event Name Distinguished Lecture of "Training Intelligent Systems with Entropy Concepts: From Wind Power Prediction to Missing Sensor Restoration and Other Applications"
Seminar of "Decision Support Systems in Water Resources and Environmental Management"
Event Name Seminar of "Decision Support Systems in Water Resources and Environmental Management"